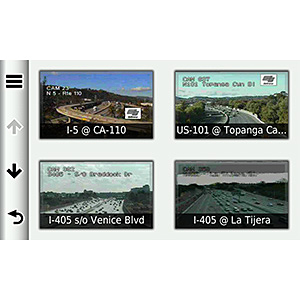 Smartphone Link is a free app that allows your compatible Garmin navigator to wirelessly connect with your compatible Bluetooth-enabled smartphone. 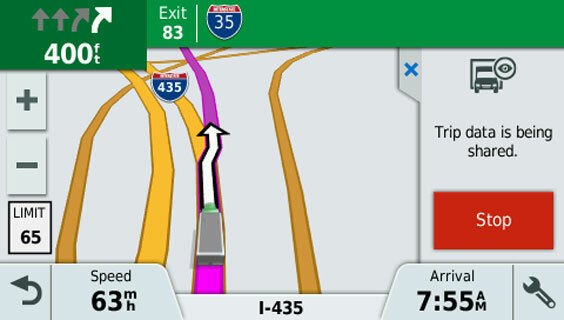 Once connected, drivers get access to many additional features to assist with their journey. 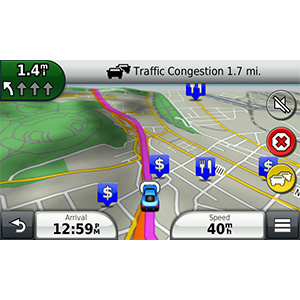 Once your navigator is wirelessly paired to your compatible phone, you can conveniently receive smart notifications from your phone right on your navigation display. 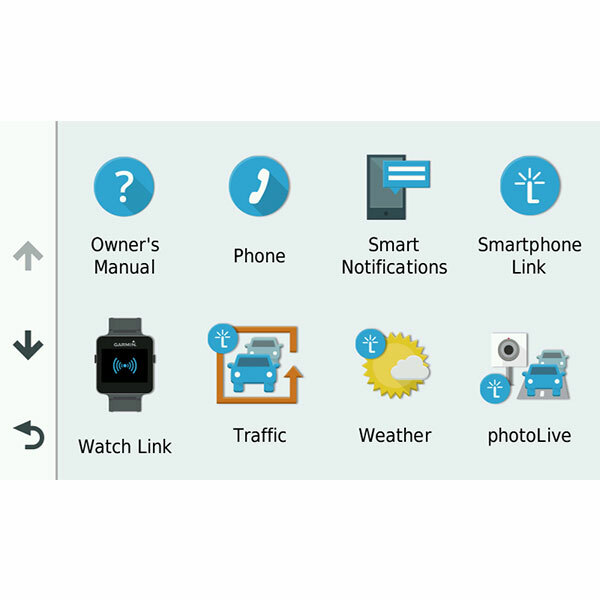 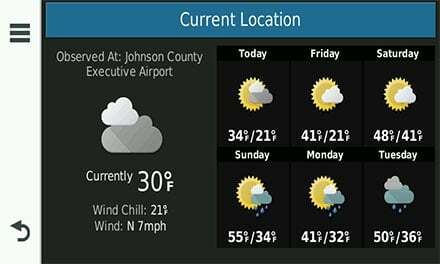 View text messages, calendar reminders and other alerts from your favorite apps while your phone remains safely stowed away as you drive. 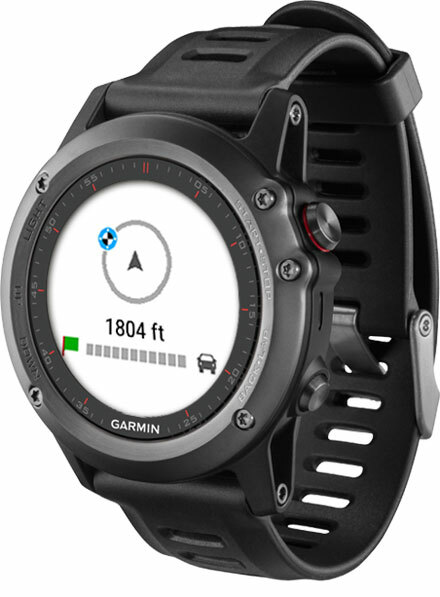 What’s more, select Garmin navigators* wirelessly pair with any Garmin Connect™-compatible smartwatch (sold separately). 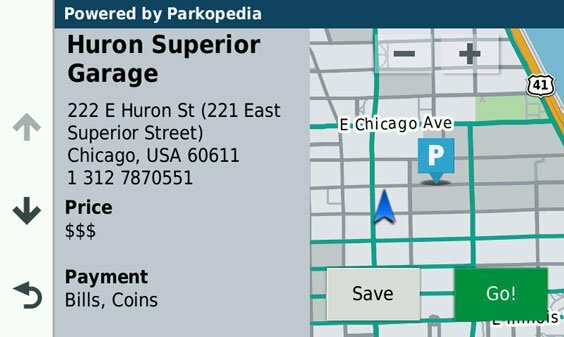 After they’re paired, you can receive navigation right on your wrist after parking your vehicle and walking toward your destination. 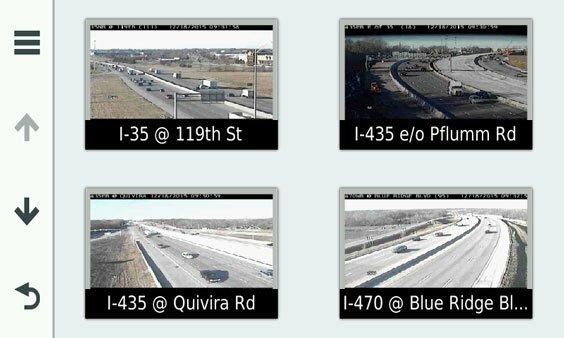 Also, Watch Link lets you receive helpful driver alerts on you watch, such as alerts for upcoming school zones and more. 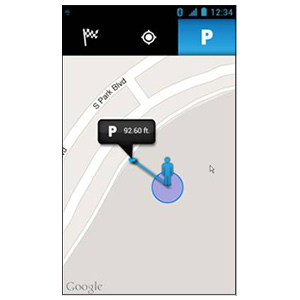 Don’t worry about losing your car in a crowded parking lot or on a side street several blocks away from the venue you visited; your smartwach provides compass guidance from your parked vehicle to your destination and back to your vehicle again. 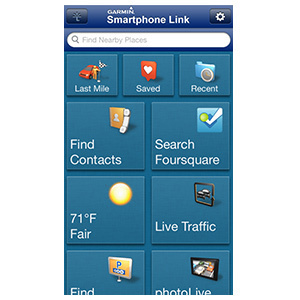 Smartphone Link can even extract address details from your smartphone contacts and seamlessly send the location information right to your navigation device. 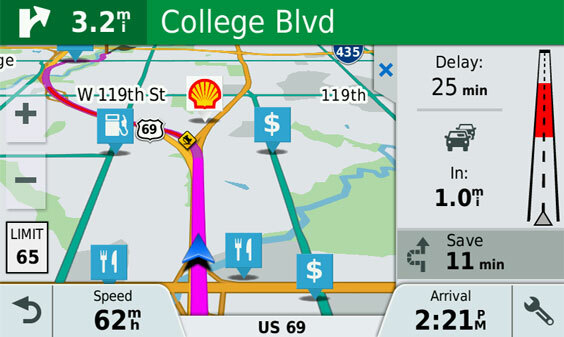 When your navigator receives the address information, it will route you to that address if you want. 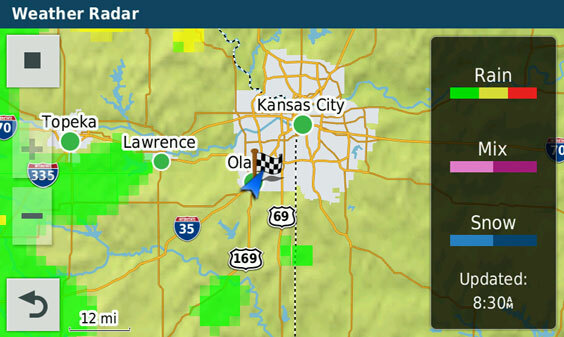 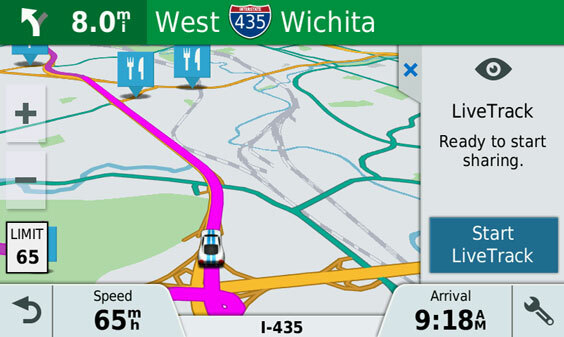 Access Garmin Live Services for real-time information you can use on the road. 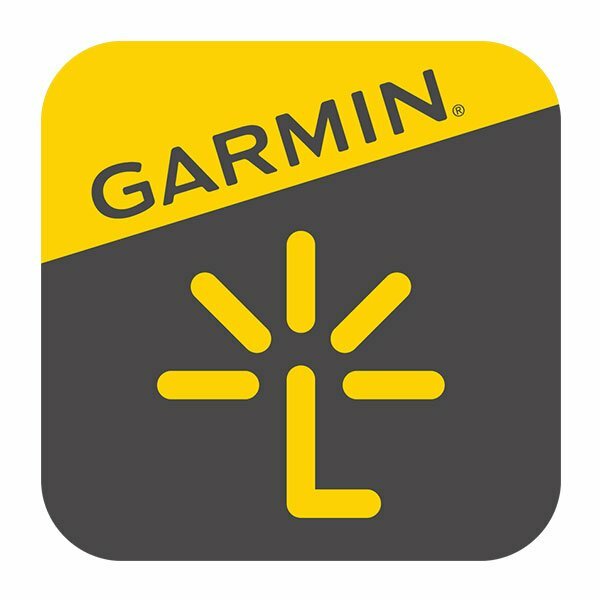 Garmin Live Services provide the most up-to-date “live” information to your Garmin navigator using your existing mobile data plan. 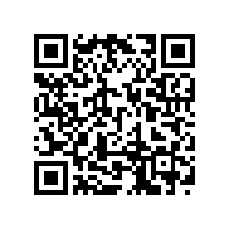 There’s no need for an additional data connection. 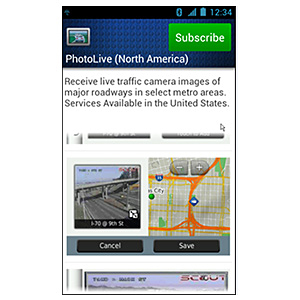 Some services are included when you connect to Smartphone Link. 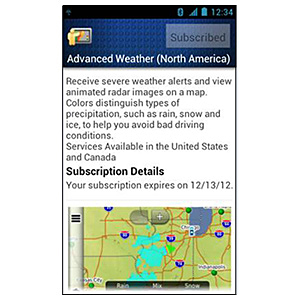 Other services within the app are available through optional paid subscriptions offering premium content and enhanced features. 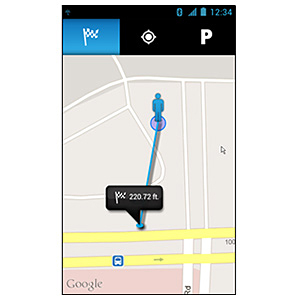 To receive data relevant to your location, Garmin Live Services require your current GPS location be shared with Garmin and Garmin partners. 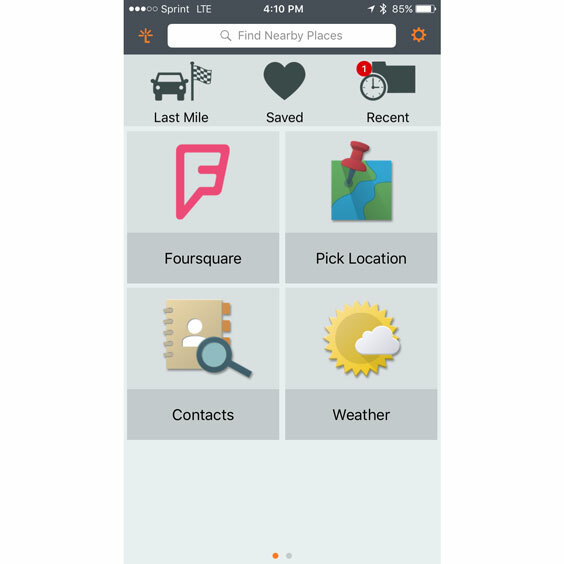 LiveTrack lets you share your location so friends can track your whereabouts — whether you’re running errands around town or taking a long road trip. 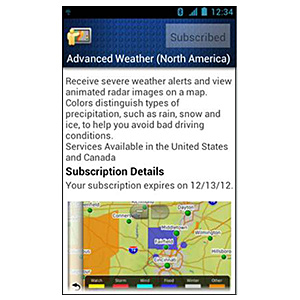 A 1-time purchase may be required for premium content. 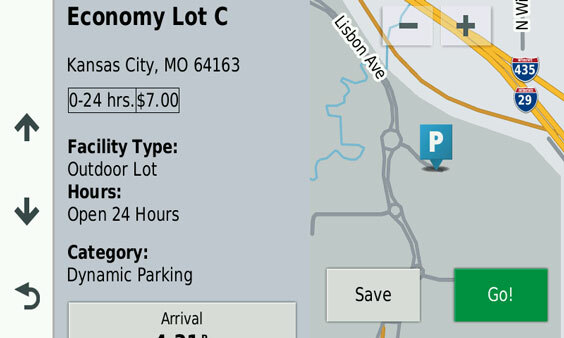 Find parking close to your destination, including the number of spots available and current cost (free for North America).